The Los Angeles Lakers are handling this NBA trade deadline really well. On Tuesday, someone leaked the Pelicans’ current asking price from the Lakers for Anthony Davis: something like all their nice young players, four first-round picks, and four second-round picks. That is basically a hold-up, but also it’s for ANTHONY F’N DAVIS, so you know, put on that ski mask and rob somebody, it’s Anthony Davis we’re talking about. In response, the Lakers melodramatically declared (through anonymous sourcing) that they are out of the bidding. 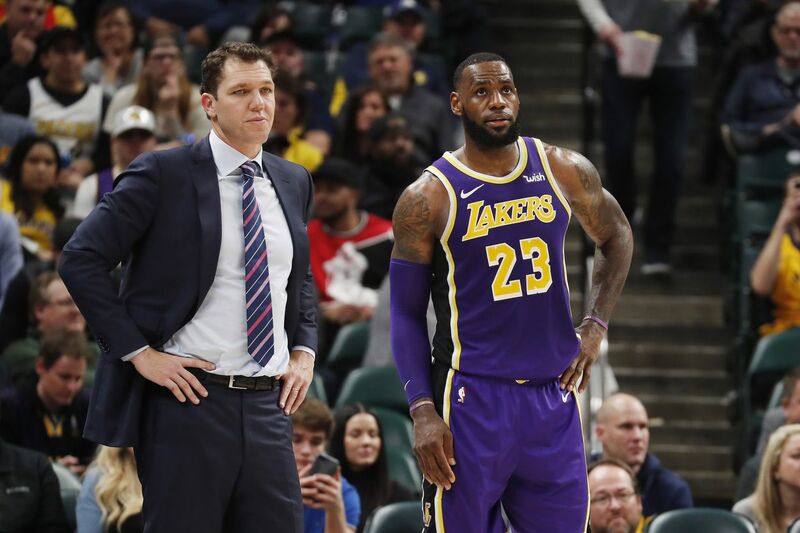 I assume at that point the other 29 teams got on a mass group text with lots of sad LeBron gifs and joyous emoji making fun of the Lakers’ adolescent posturing. Later on Tuesday, the Lakers lost to the Pacers by 42. And yes, Victor Oladipo is still out for the season. Poetically, LeBron was pictured sitting three seats away from the nearest Laker. But in proof that God is a Lakers fan, the Clippers basically dropped out of the playoff race by trading Tobias Harris to the Sixers. The Clippers are in the No. 8 spot, one game ahead of the Kings and 2.5 games ahead of the Lakers as of Wednesday morning. The Clips could stick around on the strength of Lou Williams and Montrezl Harrell, and the Kings could add a piece by Thursday afternoon. But that playoff spot is wide open for the Lakers now, even if they don’t change their minds and the Pelicans’ about Anthony Davis. The Lakers already flipped Svi Mykhailiuk for Reggie Bullock. The deadline is Thursday at 3 p.m. ET. Let’s go. Big, meaty Paul Flannery piece on everything you need to know to be ready for the dying hours of NBA trade season. John Wall was already out for the season due to surgery to repair a heel injury. Now he, uh, “slipped in his home,” rupturing his Achilles. He’s out 12 months from now. He might very well miss most of this season and all of next season. What a sad turn of events for him. Maya Moore, one of the three best women’s basketball players in the world, is sitting out the season for fairly undefined reasons. This is a crisis for the WNBA. Marc Gasol to the Hornets? Maybe! Well I for one am shocked that the Celtics might get to the Pelicans’ doorstep this summer and not offer Jayson Tatum. Who would think Danny Ainge is capable of being a thrifty negotiator? The Sixers now have four All-Star caliber players, two of which are free agents in July and for whom Philly gave up real assets. How much is Josh Harris actually willing to spend here? What a nice story on Walt Frazier and Mike Breen. Why the Kristaps Porzingis trade feels wrong, even if it’s right. Andrew Sharp on the Lakers’ Plan B. The All-Star Saturday contestants have been divulged. The shoot-out is absolutely loaded. The dunk contest could be spicy. Opponents are wearing Blake Griffin down.